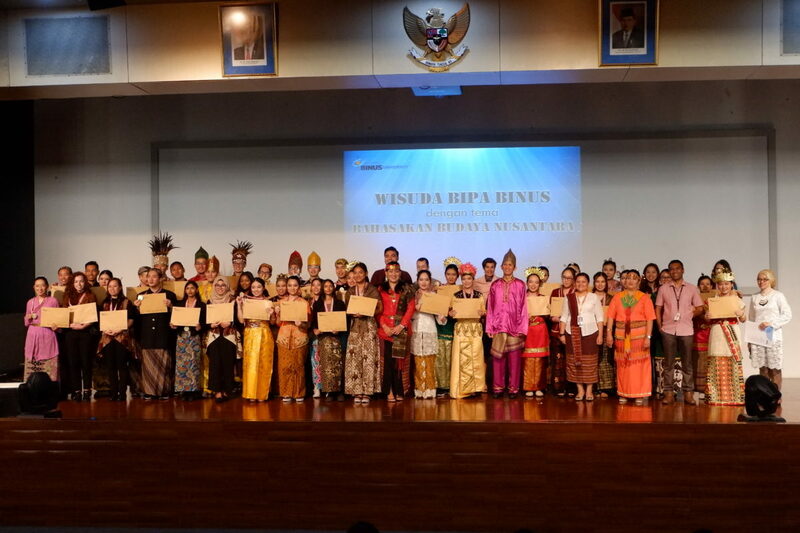 On 2nd July 2018, BINUS UNIVERSITY held a graduation ceremony for 32 students from its BIPA (Bahasa Indonesia for International Students) programme, at the university’s Anggrek campus in Jakarta. BIPA is a certified Indonesian language course established by the university’s Language Learning Center for international students. The curriculum can be customized to cater to a students’ current skill level with different scopes of difficulty — basic, intermediate, and advanced — made available. In addition to teaching Bahasa Indonesia, the curriculum also covers aspects of Indonesian culture and business ethics. Through taking this programme, students are exposed to a state-of-the-art language laboratory that maximises language immersion by implementing computer-based exercises and activities. This method also enables instructors to monitor the progress of each student and therefore adapt the teaching format to suit their strength and weaknesses — objectives set by the curriculum can then be achieved with the highest of standards. Furthermore, the curriculum assists students in developing good listening and communication skills which are essential elements to becoming linguistically fluent. 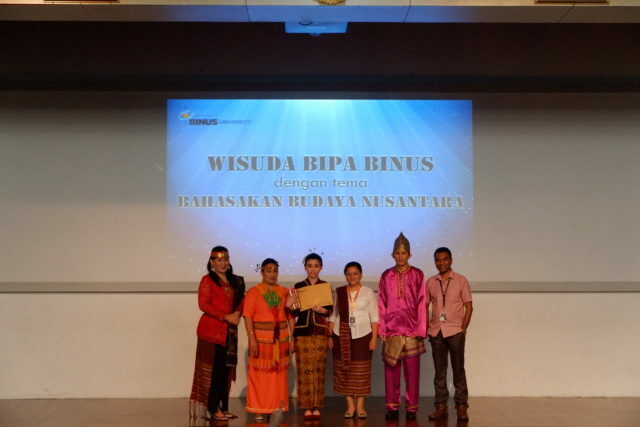 BINUS UNIVERSITY’s latest graduation is demonstrative of its reputation for excellence through the implementation of IT-based processes in its course curricula. This modern approach has thus positioned the institution as a leader amongst the region’s higher education sector.